The Book of Revelation is probably the most avoided and misunderstood book in the Bible. The events described don't necessarily take place in chronological order, and the language used often relies on symbols and obscure references most Christians don't understand. As a result, many Christians read the New Testament up until the Book of Revelation, and then they stop. Jesus gives a personal message to each church. These were real first century churches in Asia Minor, but some believe they also resemble believing Christians from the various chronological time periods from then to now. Regardless of whether or not that's true, the messages conveyed by Jesus are messages each member of the body of Christ should take to heart. Persevere. Remain steadfast in your faith until the very end. Those who are alive at the time will be protected from the great time of testing that will come upon the whole world (The Tribulation). As a result of the rapture, they will not die, but instead be transformed in an instant. Only Jesus Christ, the Lamb who was slaughtered, is worthy to open the scroll and break the seals. When the Lamb breaks the first seal, a time of Tribulation begins on earth in preparation for the coming Kingdom of Jesus Christ. In Chapter 6, the Lamb breaks the first of the seven seals on the scroll. This rider is the first of four horses let loose in Chapter 6. Each horseman brings a unique set of circumstances in his wake, profoundly effecting the world population. This seal from God protects those who receive it from the harm which will come upon the land, sea, and trees as a result of the four angels releasing the winds. The first trumpet sets one-third of the earth on fire. The second trumpet turns one-third of the sea into blood. The third trumpet makes one-third of the world's drinking water bitter. The fourth trumpet makes one-third of the earth dark. Chapter 9 brings the remaining trumpet judgments. God's two witnesses will prophesy for three and a half years, and during that time they will have power to keep the rain from falling, to turn rivers and oceans to blood, and to strike the earth with plagues of every kind - powers God once gave to Moses and Elijah. 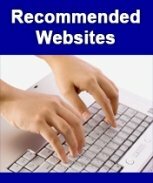 This event sheds light on the unique technologies of Revelation, because absent supernatural means, it was previously impossible for the world to simultaneously watch a single geographic location prior to the development of our generation's technology. The woman in this passage represents the nation of Israel, and she's about to give birth to a child - Jesus Christ. The large red dragon in this passage is Satan, and his seven heads and ten horns represent world government. And the one-third of the starts he sweeps from the sky with his tail represent the fallen angels who participated in Satan's rebellion against God. Satan is ready and waiting for the Messiah's birth, intending to destroy Him as soon as He's born. Jesus Christ is born. His life ministry is a great success. He is crucified, resurrected, and then caught up to God and His throne. Due to Satan's continued persecution, Israel is forced to flee into the wilderness during the three and a half years of the Great Tribulation. This is a time of unparalleled tribulation. During the mid-point of the seven year Tribulation, Satan and his angels lose a battle in heaven, which throws them down to the earth. Knowing he has little time, Satan is filled with great anger. The beast out of the sea represents world government, and world government gets its power and authority from Satan. The Tribulation period is marked by the rule of a revived Roman Empire which gives its power and authority to one man. The beast out of the earth has "two horns like those of a lamb, but he spoke with the voice of dragon." In other words, the beast out of the earth appears to a Messiah, but his words betray him as a devil. This beast exercises all of the authority of the first beast, the revived roman empire. These verses reveal that the Antichrist will force everyone in the world to be given a mark on the right hand or on the forehead. This mark, known as "the mark of the beast," is required in order to buy or sell anything. In essence, this mark gives the Antichrist complete and total control of global commerce. 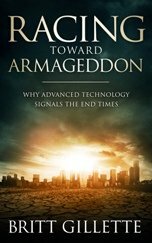 Armageddon is often associated with the end of the world or destruction on mass scale, such as nuclear war, a global pandemic, or a large asteroid strike. But the Book of Revelation never associates any of these events with Armageddon. Instead, it identifies Armageddon as a geographical location where the rulers of the world and their armies gather together. The Great Prostitute represents false religion, which through the centuries, has persecuted the saints and provided great wealth and power for the kings of the world. In the last days, the world's false religious systems will be utterly destroyed. But false religion won't be alone in its destruction. The destruction of Babylon will come swiftly, in a single moment. And the kings of the world and those who enjoyed Babylon's luxuries will mourn for her, terrified. The rider on the white horse is Jesus Christ. He is the Word of God in flesh who wears a robe dipped in blood. On the day of His return, there will be deep mourning among the people of the earth who oppose Jesus Christ. With Satan bound in chains in the bottomless pit and Jesus Christ reigning on earth as King, a 1,000-year time of peace comes over the earth. This is known as the Millennial Kingdom. Despite the personal rule of Jesus Christ, humanity still wrestles with its sinful nature during the time of the Millennial Kingdom. Because of man's fallen state, Satan's ability to deceives results in numerous converts to his latest and last rebellion. Satan's ultimate destiny is the fiery lake of burning sulfur... Hell. 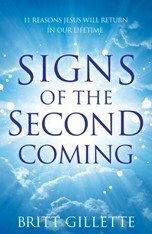 The Book of Revelation paints a vivid picture of humanity's future, from the Church Age to the end of the Millennial Kingdom... Through seven years of Tribulation to the Final Judgment. 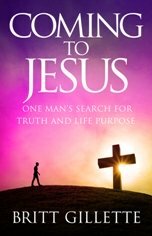 The book is a revelation of truth from Jesus Christ. If you have not yet, repent of your sins. Turn your attention to the Creator. Ask for forgiveness, and ask for guidance from the Holy Spirit.